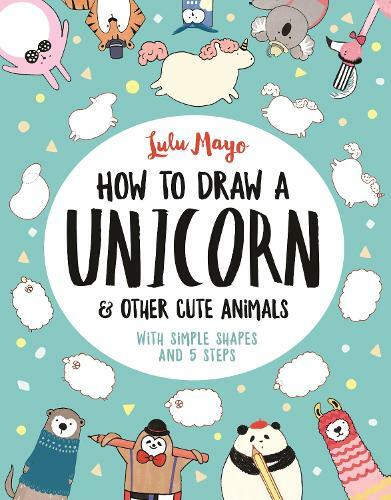 Learn to draw unicorns and a whole host of cute animal characters in Lulu Mayo's unique and quirky style, using simple shapes and 5 easy-to-follow steps. From a cuddly panda and a jolly llama to a chilled-out sloth and a unique unicorn, there are 30 drawing exercises to complete. This book will show the reader how to draw quirky, cute animals in a wonderfully easy and inspiring way. Step-by-step, illustrator Lulu Mayo will explain how to draw various creatures by using simple shapes, such as circles, ovals, rectangles and triangles, and how to add adorable details. The book contains 30 of these doodling exercises, featuring animals such as rabbits, owls, foxes - not forgetting unicorns! Its easiness, simplicity, and quirkiness will resonate with animal lovers, artists and doodle enthusiasts of all skill levels and ages. Absorbing and fun, it will ignite doodler's curiosity and inspire them to experiment creatively.